Often the question is asked, "What is the proof that Yeshua (Jesus) is the Messiah?" Often the answer from many Messianic Jews is something along the lines of "He fulfilled all the prophecies for the Messiah!" I agree with that answer. But, I also believe that there is better evidence that is more compelling for my people, Israel, and ultimately the whole world. 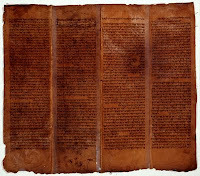 In an article on Aish.com for the Torah Portion Re'eh, Rabbi Shaul Rosenblatt wrote an article called "Feats of Amazment." He writes, "Judaism says: Use your mind. Don't judge by "miracles." Judge by evidence. In the primitive world, miracles impressed. Surely in the 21st century we should know better." What follows in this blog is "evidence" for the sake of my people and for the glory of the God of Israel. All of this is based on original research from my father, Rabbi David Rosenberg, of Shuvah Yisrael Messianic Synagogue in New York. You can also listen to a recent sermon that I gave at Beit Messiah in Seattle called "Shattering Expectations." At Beit Messiah, we follow the weekly Torah and Haftarah cycles of reading, a traditional Jewish cycle of reading that is believed to date back to Ezra and Nehemiah. In one year we read B’reshit (Genesis) through D’varim (Deuteronomy) and then we start over in Genesis chapter 1 for a new year. 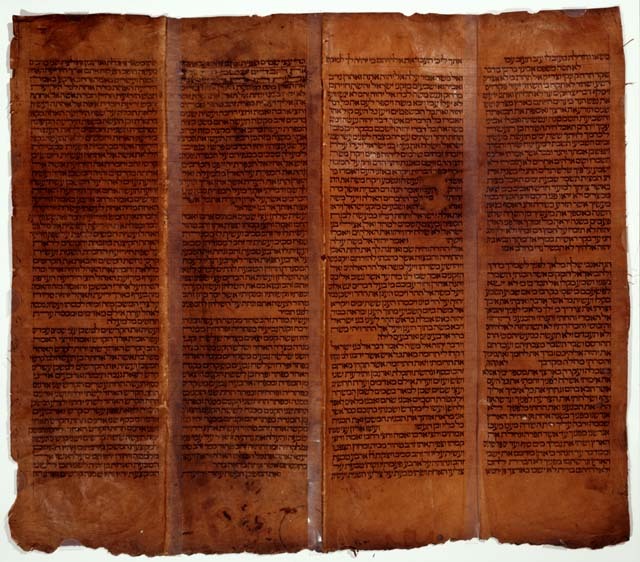 The Haftarah cycle is made up of readings from the prophets and the writings of the Tanakh (Old Testament) that coincide with the Torah readings. For most of the year the reading of the Haftarah cycle seem random, meaning they are in no particular order and come from different books of the Tanakh. There is one seven-week period where the Haftarot are all from the same book and are almost in order. This seven-week period is known as the seven messages of Isaiah or the seven messages of consolation. In this seven-week period (as I write we are in the 4th week) the Torah readings go through almost the whole book of Deuteronomy and the Haftarah readings are all from the Prophet Isaiah chapters 40-63. It is called the messages of consolation because after 39 chapters of judgment Isaiah seemingly changes his tune and preaches a message of returning to God and the blessings that will result for Israel for turning back. It is seven weeks during the year where the emphasis is on return and restoration. This makes sense because what always follows the seven message of Isaiah are the Fall High Holy days: Rosh Hashanna (call to repentance), Ten days of Awe (focus on repentance), Yom Kippur (Day of Atonement) and Sukkot (celebration of all God has done for His people). There is no specific mention of "the seven message of Isaiah" in the Messianic Writings (New Testament). There is no specific mention of "the Torah and Haftarah cycle" in the Messianic Writings either. But, there are key word indicators and the quoting of the Tanakh that tell us (the readers) what time of year it is. In the Besora (Gospel) of Luke we find five indicators of this seven-week period. 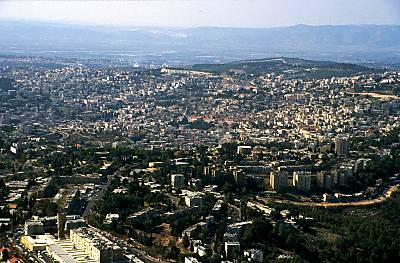 In Luke chapters 3-4 we read about Yeshua's immersion in the Jordan River by His cousin John, the recognition of Yeshua by God the Father from Heaven, Yeshua's 40 days in the wilderness with the Devil, and Yeshua coming to His hometown of Nazareth and reading from the prophet Isaiah in Synagogue. In these two chapters of Luke there are five scriptures quoted from the Tanakh (plus a Psalm quoted by the Devil): Isaiah 40:3-5, Deuteronomy 8:3, Deuteronomy 6:13-14, Deuteronomy 6:16 and Isaiah 61:1-2. Luke 3 begins with John quoting Isaiah 40. In Luke 4 Yeshua reads from the scroll of Isaiah 61:1-2 in synagogue. These two quotes from Isaiah are from the Haftarah readings of week 1 and week 7 of the seven messages of Isaiah. The three quotes from Deuteronomy are Torah readings from week 1 and week 2 of the seven messages of Isaiah -- five scriptures all quoted from the same seven-7week period of the Torah and Haftarah cycle. Luke 4:2 tells us that Yeshua went into the wilderness for 40 days. Keep in mind that John and Yeshua did not have their own versions of Tanakh available for personal use. They, as observant Jews, knew what readings were coming and when they were coming. Meaning that even in the middle of the wilderness Yeshua had on His mind what every synagogue in the world was reading during those same weeks. You ask, "What does this prove?" For one thing, Yeshua's immersion is generally understood as the beginning of His public ministry and the beginning of revealing to the world that He was the Messiah. Just like a cohen (priest) in the Torah, Yeshua's ministry began at the age of 30 (Luke 3:23). So, Yeshua takes 40 + days to reveal to the Jewish world who He is and He uses the readings of the weekly Torah and Haftarah cycle to do just that: reveal to the whole world that He is the Messiah. It is a genius move on the part of God -- to move and work through the framework of Jewish tradition, the Torah and the prophets in order to reveal to His people what He is doing. Yeshua did not meet people's expectations of what the Messiah was believed to be in the first century. After all, God does like to shatter our expectations and do something more compelling and incredible than we could ever imagine. All of this begins on the Jewish calendar on the 9th of Av. Isaiah 40 is already read the Shabbat (Sabbath) after the 9th of Av. John was quoting Isaiah 40 because it was the reading for the coming Shabbat. The 9th of Av is a fast day in Jewish tradition and is called "the fast of the fifth month" in the prophets. It is only logical that Yeshua would begin a 40 day fast on a traditional fast day on the Jewish calendar. It is also significant because of the judgment that John lays down while quoting Isaiah. He warns the Jewish leaders by saying, "Already the axe is at the root of the trees, ready to strike; every tree that doesn’t produce good fruit will be chopped down and thrown in the fire!" (Luke 3:9). Well, if this takes place on the 9th of Av, right before the seven messages of Isaiah, then He is giving a warning for what will happen exactly 40 (always a number of judgment) years to the day that the second Temple is destroyed in 70 C.E. It is also interesting to note that what John is preaching is repentance and turning from sin. Repentance is the whole theme of the 7 messages of Isaiah and the month of Elul on the Jewish calendar which both precede the Fall High Holy days. Why is Yeshua's first public act as the Messiah to deal with the Devil? Why not a miracle? Up until this point the Devil didn't know who he was dealing with. Yeshua, as His first act as Messiah, goes in the desert to deal publicly with His enemy. He is giving the Devil a warning shot. He is dealing the Devil his notice that he will be evicted from the premises. Yeshua is letting the principalities and powers of darkness in on God's plan to save creation. The only thing Yeshua has to say to the Devil in the wilderness comes from the first two Torah portions of the seven messages of Isaiah. At the end of 40 days in the wilderness Yeshua goes home to Nazareth. The following Shabbat Yeshua goes to synagogue in Nazereth "as was His custom" (Luke 4:16). He is given an Aliyah to come and read from the Haftarah portion for that morning. The reading is from Nitzavim, the 7th week of Isaiah, and Yeshua reads Isaiah 61:1-2 and stops reading. Stop. If you look up Nitzavim you will notice that the reading listed begins in 61:10. Why is Yeshua reading verses 1-2? Keep in mind that Yeshua is reading from a scroll. He could not choose a scripture at random. He didn't pick one He liked. He read from the portion that the scroll was rolled to for that morning. After reading Yeshua says in Luke 4:21, “Today, as you heard it read, this passage of the Tanakh was fulfilled!” What?! In other words, Yeshua was saying, "I AM THE MESSIAH." He was saying, “I am the one who has come to ‘set the captives free, to recover sight for the blind...’". He was saying, "I am that guy!" Of course the people in Nazareth get angry and as they try to kill Yeshua, He disappears. In the infinite wisdom of the God of our Fathers, Adonai chose a seven-week period on the Jewish calendar to reveal who the Messiah was/is. There are many more details than I can share here but know this. There is compelling evidence and all of the evidence comes from Jewish context that is found all through the Messianic Writings. The Apostles were not founders of a new religion (Christianity) that worshiped another God (Jesus). They were Jews who found the Messiah that was promised to our Jewish people for the benefit of the whole world. What the Jewish leaders in the time of Yeshua could not see was what they refused to see: that Yeshua is the Messiah who came, died, rose from the dead, conquered death, ascended into heaven and sent His Spirit so that our eyes could be opened. Look out for my next blog: Opening Your Eyes So The Power of God Can Work in You.